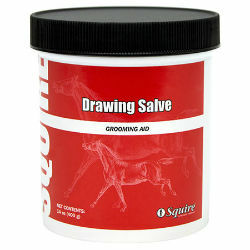 Drawing salve for use on hooves, nails, and skin of horses and dogs. Apply topically once or twice a day. A loose wrapping may be applied. Avoid prolonged exposure to excessive heat.